One of the questions I get asked the most when people find out I’m vegetarian is if I like tofu. Most people tell me that they dislike tofu, mainly for the taste. The secret to tofu, like any other food, is knowing how to prepare it. I’ve compiled a list of 5 tofu recipes that I love and which make the tofu a lot more flavorful and enjoyable to eat. Enjoy! 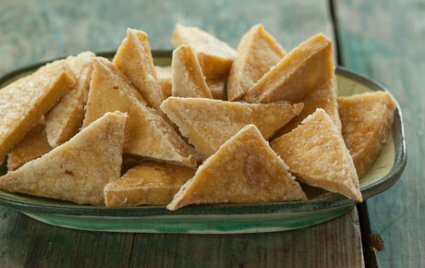 These tofu triangles are super simple and delicious. When I made them I had them plain and dipped them in mustard, but I can definitely see myself adding them to salads or wraps or really any dish! 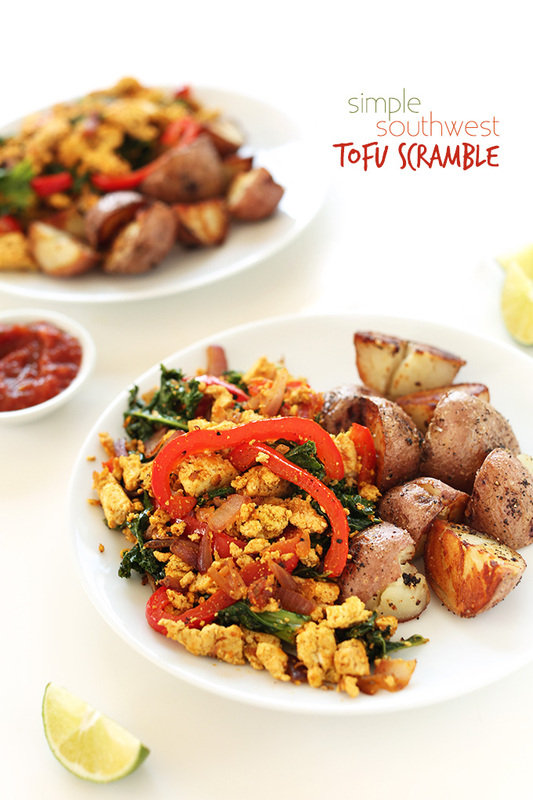 I had seen some ideas for tofu scramble, but this was the first one I tried. I absolutely loved how easy it was and it turned out great! This is perfect for breakfast, lunch, or dinner. Since becoming vegetarian barbecue has not been big in my menu. However, smelling all the grilling in the summer was really making me crave some! These were super easy to make and definitely satisfied my barbecue craving. I can’t wait to try some grilled barbecue tofu! This recipe is a bit more time consuming. I added the tofu mixture to a bottled sauce, but it still turned out great! Spaghetti has been my favorite meal for a very long time, so I loved finding a recipe to switch up how I make the dish. Adding the tofu really fills out the flavor of the pasta making it taste a lot more “meaty”. 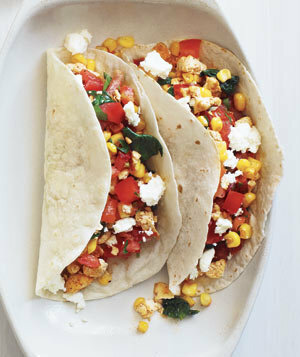 These tacos are possibly my new favorite meal. They only took about 10 minutes to make and are so delicious! The chili-powdered tofu is such a great base, I can’t wait to make some different variations off this recipe! What are your favorite ways to prep/cook tofu? 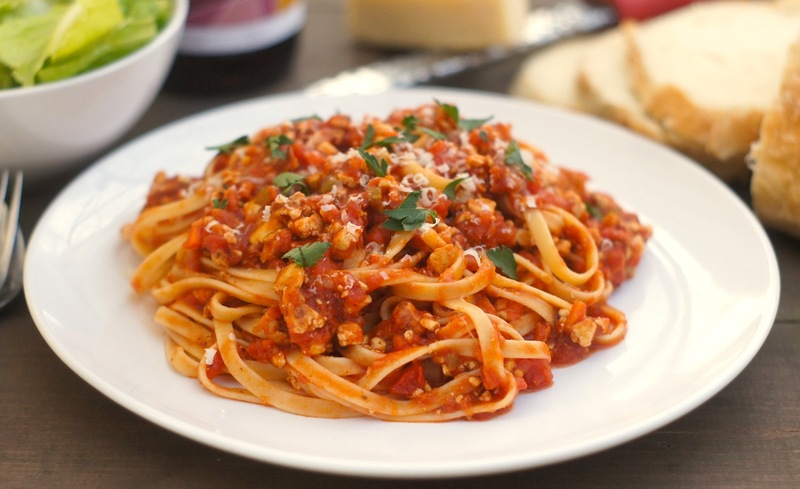 I’m so glad you like the tofu bolognese – thanks for including my recipe! And your idea of used jarred sauce to speed it up is smart. 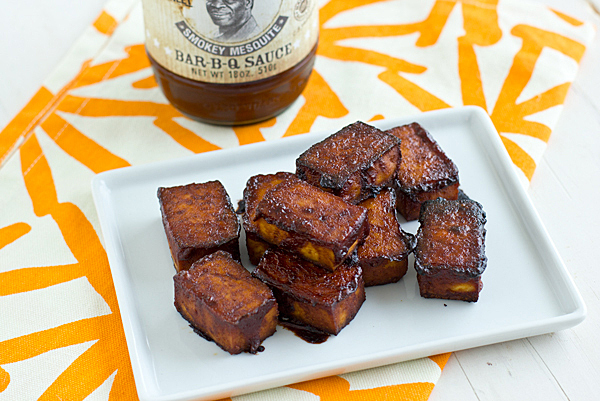 =) Great round-up — I’m going to try the bbq tofu myself now!